North Dakota is in the top 25 percent of states in both new lung cancer cases and lung cancer survival rates. This according to the first ever "State of Lung Cancer" report done by the American Lung Association of North Dakota. 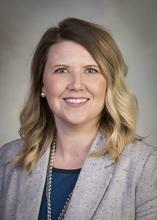 Reba Mathern-Jacobson is director of tobacco control for the Lung Association in North Dakota. She says this report looks at rates of incidents of lung cancer, survival rates, rates of early diagnosis, surgery, and access to screening centers. She says the report helps North Dakota know where it stands. The Senate has voted to dissolve the Tobacco Control and Prevention agency. That agency is funded by part of the so-called “master settlement” on a lawsuit states filed against big tobacco companies. Both the Dalrymple budget and the Burgum budget called for the agency’s elimination, and the duties to be transferred to the state Health department. The agency was created by initiated measure passed by voters in 2008. A coalition of North Dakota anti-smoking and health groups is asking the Legislature to continue the funding the state’s Center for Tobacco Prevention and Control Policy. The agency was created in 2008 by initiated measure. It’s funded through an additional settlement in a lawsuit against several big tobacco companies. An initiated measure to increase North Dakota’s tobacco tax could be headed for the November ballot. 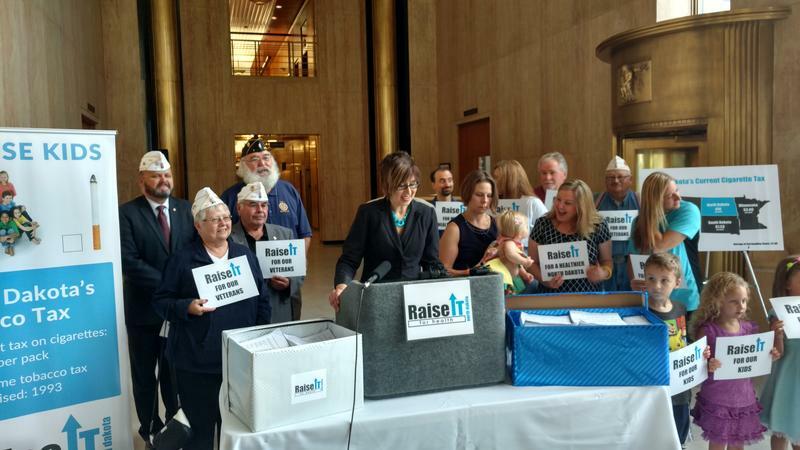 "Over 150 volunteers from across the state collected more than 22,000 signatures," saik Kristie Wolff of the American Lung Association in North Dakota, a spokesperson for the "Raise It For Health" coalition. "That's a sign of the strength of our coalition, as well as the public's continued support of our kids, our veterans and individuals struggling with mental illness, addiction and chronic disease." The two bills that would have raised tobacco taxes have been rejected by the Legislature. The latest one to be defeated was in the Senate. It would have raised the tax on a pack of cigarettes from 44 cents to $2. Supporters say raising the tax would discourage people from starting to smoke – and encourage people to quit. 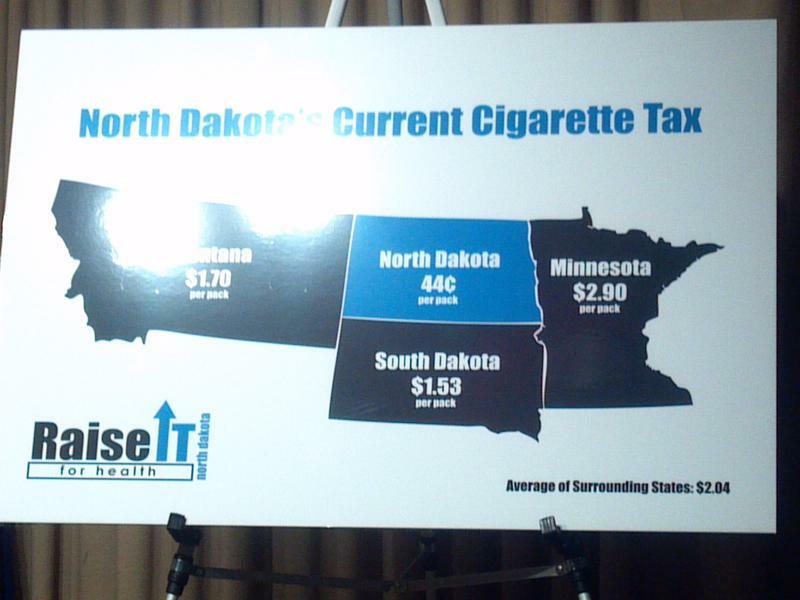 The North Dakota Legislature is being asked to consider raising the state’s tobacco tax. Two bills have been introduced. The House bill would raise the tax from the current 44 cents per pack of cigarettes – to $1.54 per pack. The Senate bill would raise it another $1.56 – making the tax two dollars per pack. "This is not a matter of taxation," said Sen. Tim Mathern (D-Fargo), the sponsor of the Senate bill. "This is a matter of impacting the rate of tobacco use." When cities like Bismarck and the state of North Dakota were going through discussions of ordinances to prohibit smoking in restaurants and bars, some in the hospitality community said it would cause a loss of business. Tobacco control advocates countered that national statistics show just the opposite. And now, Bismarck’s Tobacco Free Coalition has data to support its position. The House has voted to make some changes to the new voter-approved workplace smoking ban. The measure says businesses do not have to put a “no smoking” sign in work vehicles. It ends the mandate to remove factory-installed ash trays from the vehicles used on the job. And it will no longer force businesses to post “no smoking” signs at loading docks or garage doors. Supporters of a law to ban smoking in all public places in North Dakota say they have more than enough signatures to get the measure on the ballot. 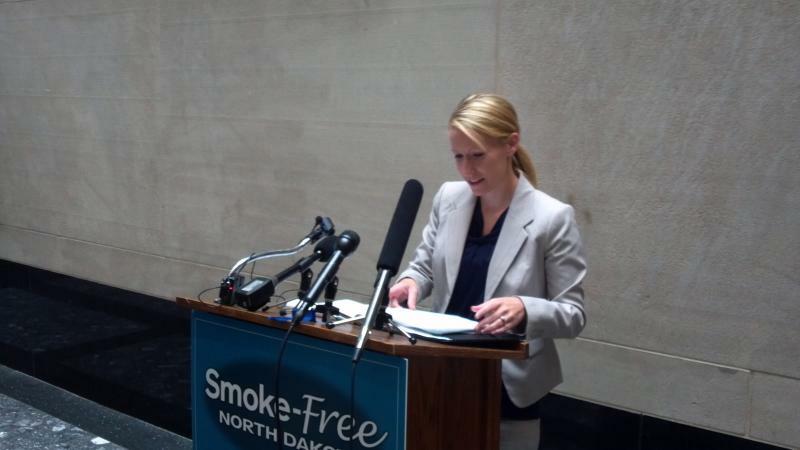 Smoke Free ND turned in petitions with more than 21.000 signatures to the Secretary of State. The group needs just over 13,000 valid signatures to get in on the November ballot.